In unison, they denounced the overnight detention of Guaido henchman Roberto Marrero, in custody for reported involvement in a "terrorist cell," allegedly planning crimes, including a plot to kill Maduro. Detaining (accessory to the coup plot) Roberto Marrero is "the most significant attack on the opposition camp since Mr. Guaido declared himself the country's interim president two months ago." Neither the Times or any other establishment media denounced what's going on as an illegal coup plot to eliminate Venezuelan social democracy, wanting US-controlled puppet rule replacing it. Media support for the imperial scheme makes them criminal accessories before and after the fact - wanting Chavez and Maduro toppled, cheerleading what's going on now. The Times: "In the past, Mr. Maduro's government has quashed challenges to his rule by jailing opposition leaders, forcing them to flee the country or disqualifying them from elections." "Guaido (claimed) the operation (is) sign that Maduro is losing his grip on power in a country (sic) suffering from years of economic hardship and political polarization." WaPo ignored illegal US sanctions war begun by Bush/Cheney, escalated by Obama, greatly toughened by Trump - largely responsible for economic hard times in the country. The Wall Street Journal headlined "Venezuela Intelligence Police Detain Top Opposition Aide: Arrest threatens to raise tensions and provoke US punitive measures." "This is the repression of 21st-century socialism (sic), of a failed revolution (sic). It's a repeated strategy by this dictator Maduro (sic) to try to force us to back down. But we are going to keep on the streets." 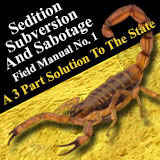 AP News: "Venezuelan opposition aide is seized, US and allies protest"
Reuters: "Venezuela detains top aide to Guaido in move US calls 'big mistake' "
Fox News: "Venezuelan intel agents arrest top opposition aide after allegedly planting firearms, grenade in night raid"
CNN: "Venezuelan intelligence agents raid homes of Juan Guaido's top aides (sic), opposition says"
ABC News: "Venezuela's Guaido says government doesn't dare' arrest him"
CBS News: "Masked men broke down a door and took away a key aide to Venezuela's opposition leader. The US is calling for his immediate release." National Public (aka Pentagon) Radio: "Guaido Says Venezuelan Agents Detained His Chief Of Staff (sic) In Pre-Dawn Raid"
The BBC: "Venezuela crisis: Guaido condemns 'vile' arrest (sic) of aide (sic)"
London Guardian: "Juan Guaido chief of staff (sic) arrested by Venezuelan agents." 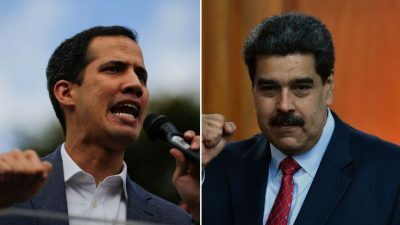 Al Jazeera: "Venezuela detains top aide (sic) to Guaido, opposition says"
All stories behind the above and similar headlines suppressed what's most important to report about Venezuela. The Bolivarian Republic is the hemisphere's leading democracy, devoting most of its wealth to providing vital social services to all its people, serving them equitable as constitutionally mandated. That's what imperialism is all about - supported by establishment media instead of responsibly condemning it.